Sainsbury's is launching specialised beauty aisles in 11 stores as part of a renewed push into the beauty industry. The supermarket chain said it plans to re-launch its boutique cosmetics range and offer 1,500 new products from brands including Burt's Bees and Essie. 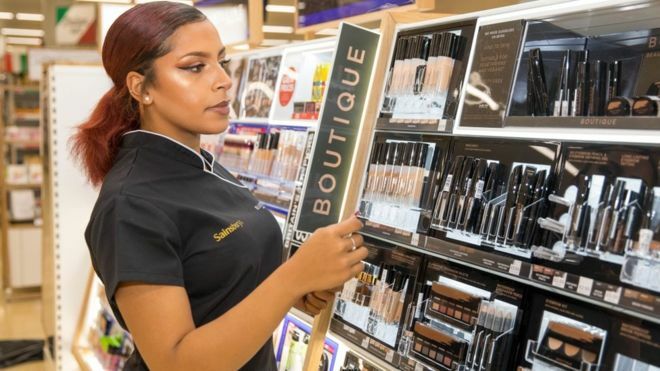 Eight of the new beauty aisles will be staffed by dedicated beauty advisers, in a move aimed at taking on High Street rivals Boots and Superdrug. The launch comes ahead of the chain's proposed merger with Walmart's Asda. Concessions of perfume retailers The Fragrance Shop will also be available in two stores, with one opened in Sainsbury's Purley Way store last week, whilst a second will open in Selly Oak later this year. Extended beauty ranges will also feature in Sainsbury's Fosse Park, Newbury, Purley Way, Leicester North, Locksbottom, Oldbury and Bolton stores. "We think customers will love our beauty makeover," said Paul Mills, the supermarket's commercial director.